The instance method tap is available as part of Object class from Ruby 1.9.x onwards. Rubyists exploit it to different use cases for fun and fashion. This blog post is to share my thoughts on what I think tap is best for. When readers encounters the code like below, they would have to follow all the three lines and then recognize that is is just creating an instance named user. The above code can be re-written as below to make the code immediately clear. A reader would not have to read what is inside the block to know that an instance user is created. Based on my experience, in the context of real-world code, there should be many instances of code patterns like above. In such cases, it is much ideal to create an instance method of User like, say build, that is something like below than utilising tap. There is another example that states that tap can be used to contain related set methods within its block. I'd much rather build a composite method that contains all these methods within it than using method. It is this way I make my code more readable and concise. Now you should be wondering, "What on earth can I use the "tap" method for? I'm so vying to exploit its potential." All the tap calls are meant for debugging the intermediate state of the expression in the chain-calls. Isn't this a lot better? And for your information, the example and explanation is shamelessly reproduced from Ruby doc. 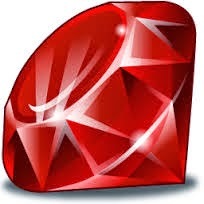 ProTip: The best way to learn and digest Ruby phrases is to get into the habit of reading Ruby Doc. MenTaLguY's blog titled, "Eavesdropping on expression"